Integrating Lower & Higher Self is an exploration of our lower and higher self. It is designed to illustrate and explore the nine matrixes of the lower self: gluttony, greed, sloth, envy, wrath, pride, lust, fear and deceit. And also to strengthen our connection to our higher self, which is the most awakened part of us that sees everything with love and understanding. Throughout our lives we have mis-identified ourselves with the lower aspects of our nature, and often denied them altogether. As we begin to identify them, they lose their power. And as we come to understand how the lower self operates through these matrixes, we can unveil the masks that were created to protect us, but have inevitably led to our suffering. Integrating our lower and higher self is about understanding how our masks operate and embracing our shadow. Before registering for room and board with the Garrison Institute, please register for the program here. 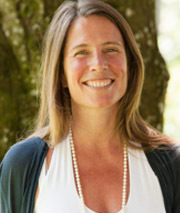 Amara Pagano is the creator of Azul conscious movement practice, a path of personal transformation that utilizes movement to support awakening consciousness. Azul harnesses the bodies intelligence to facilitate inner healing and evolution using movement combined with a psycho-spiritual approach as a vehicle for exploration. Azul recognizes that – as we transform ourselves – we create the conditions for our world to transform. Amara is also the co-founder of the global conscious movement community OneDanceTribe that creates events with teachers and presenters of different modalities for the purpose of creating a unified, collaborative field to support personal and collective evolution. Amara has been teaching movement as a spiritual practice for 25 years and travels throughout Europe, Australia, North and South America teaching Azul workshops, retreats and teacher trainings. 975.00 These costs include room and board only. Please be in touch with the group regarding any additional program fees.